Dylan Muldoon and his No. 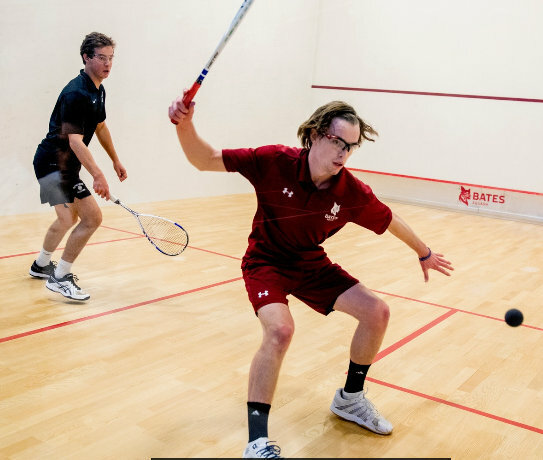 18 nationally ranked Bates Men's Squash teammates defeated No. 26 Bowdoin for the 29th straight time, winning 8-1 at the Bates College Squash Center. Sophomore Muldoon picked up his first win of the season defeating Bowdoin's Travis Rase in straight games 11-5, 11-3, 11-9 at the No. 9 position. Juniors Graham Bonnell and Mahmoud Yousry both earned sweeps at the top of the ladder for Bates. Bonnell defeated Ian Squiers 11-5, 11-7, 11-8 at the No. 1 position and Yousry won 11-7, 11-7, 11-2 at the No. 2 position over Gannon Leech.